I like to eat fruits for breakfast more than anything else. 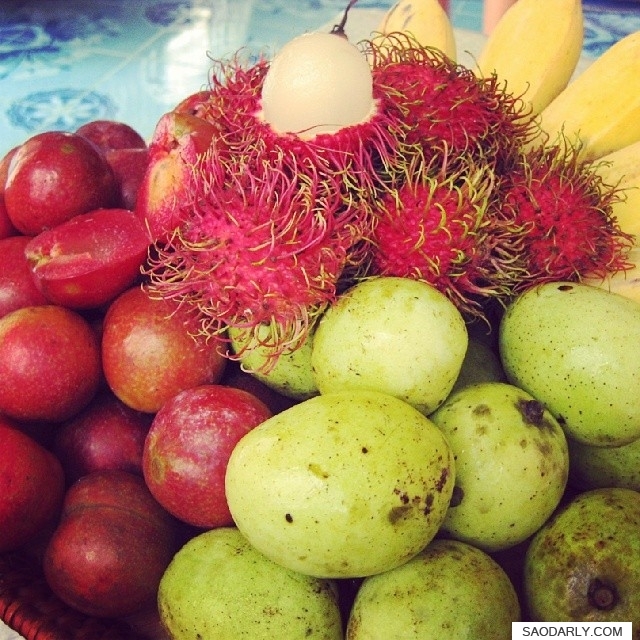 It’s nice to be in Laos and able to have plenty of fresh fruits for breakfast at a fraction of the price in Holland. My favorite place to buy fresh fruits and vegetables in Vientiane is at Vientiane Organic Farmers Market. The market is held twice a week at the moment at Chao Fa Ngum Park on Monday and at That Luang esplanade on Saturday.